What is it about the apocalypse that fascinates us so much? 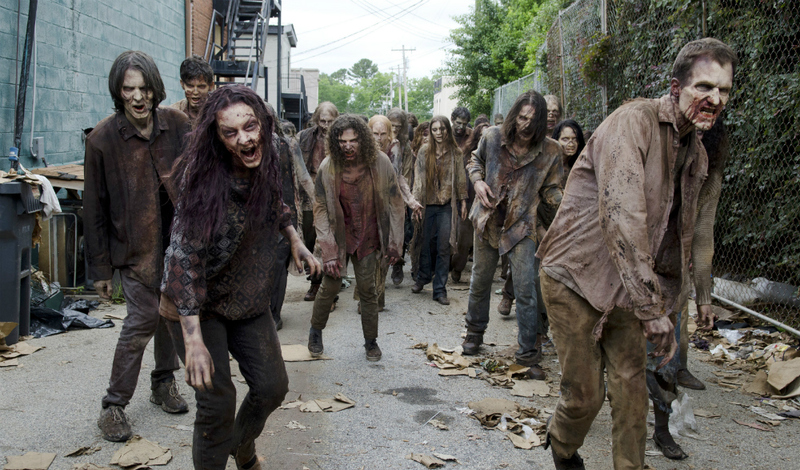 Why do movies about zombies, machine uprisings, and overall societal collapse appeal to us? Is it just the dramatic, action-packed stories they evoke that thrills us? Could there be something more to that appeal? While I enjoy a good apocalyptic tale every now and then, I don’t consider myself a fan of the genre. In general, I opt for more hopeful and optimistic stories about the future and the present. 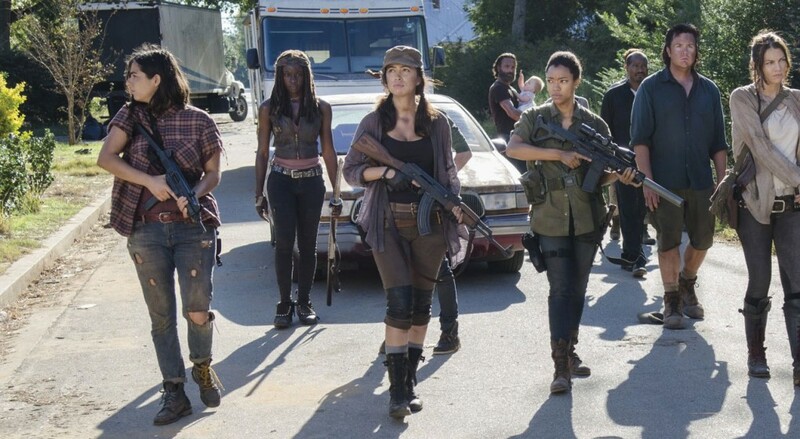 I can still appreciate movies like “World War Z” and TV shows like “The Walking Dead,” but it’s not the kind of story that appeals to me, in general. Even so, I don’t deny that there is a certain appeal to it. I’m not just talking about apocalyptic stories either. For some, the idea of a world in which civilization has collapsed has an innate allure that goes beyond zombies, killer robots, or even invading aliens. To some extent, that appeal is directly related to the flaws of civilization itself. To appreciate those flaws and where the apocalypse fits in, it’s necessary to reference a show that has a knack for conveying complex philosophical insights in a way that’s both entertaining and hilarious. Yes, I’m referring to “Rick and Morty” again. No, I’m not apologizing for that. 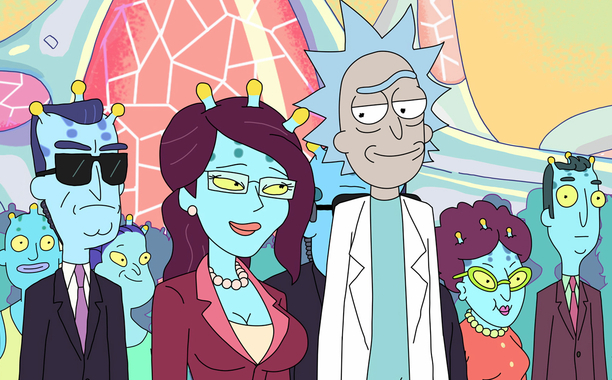 In the same way this show has conveyed complexities of nihilism and the burdens of genius, this show also does a better job than most at conveying the unique appeal of the collapse of civilization. 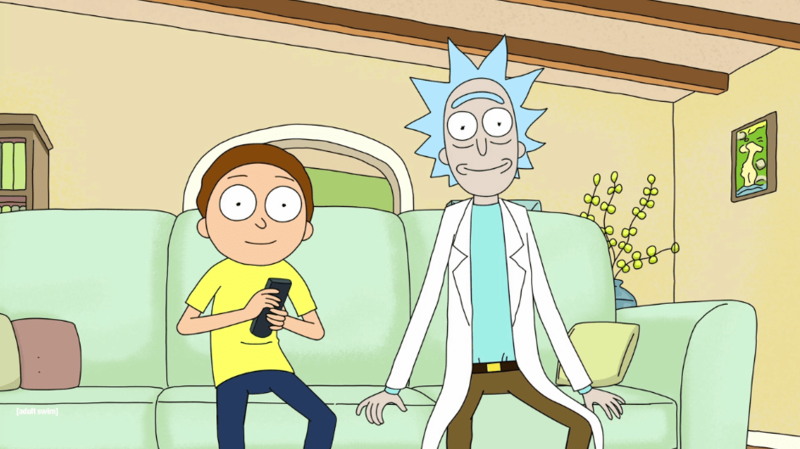 It does this through two episodes, “Rick Potion Number 9” and “Rickmancing The Stone.” While the details are subtle, as is often the case with “Rick and Morty,” the message is clear. Simply put, the fruits of modern civilization are debilitating, dehumanizing, and soul-crushing for the vast majority of people. If you’re rich, good looking, and well-connected, then civilization is fantastic for you. You can get pretty much whatever you want and you can get other people to do all the hard stuff you don’t want to do. If you’re everyone else, though, you’re kind of stuck. 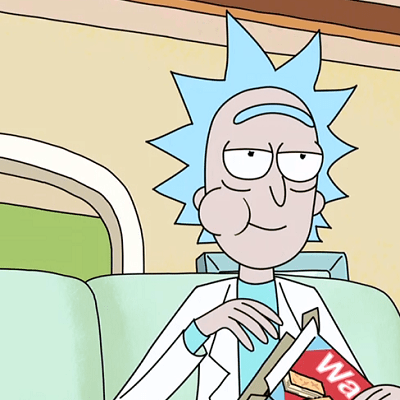 Throughout “Rick and Morty,” Rick Sanchez doesn’t hide from that fact. His nihilistic commentary on life, death, and everything in between makes clear that civilization is just a few extra inconveniences to an undisputed super-genius who can build a nuclear reactor out of pond scum. 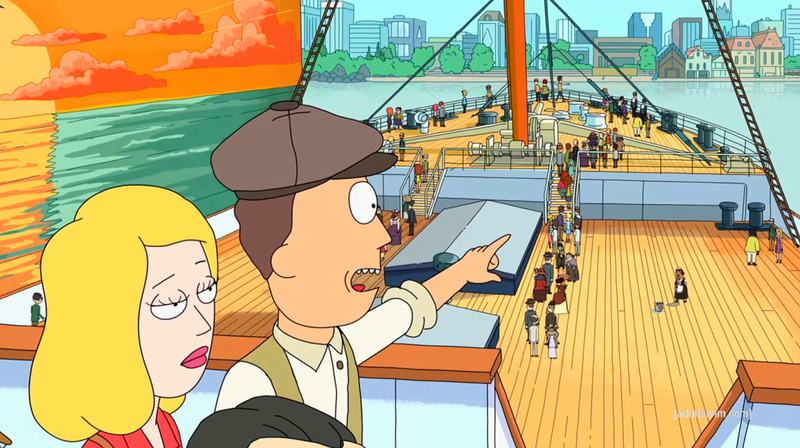 However, it’s through characters like Jerry Smith, Rick’s perpetually mediocre son-in-law, that the true weight of modern civilization becomes clear. 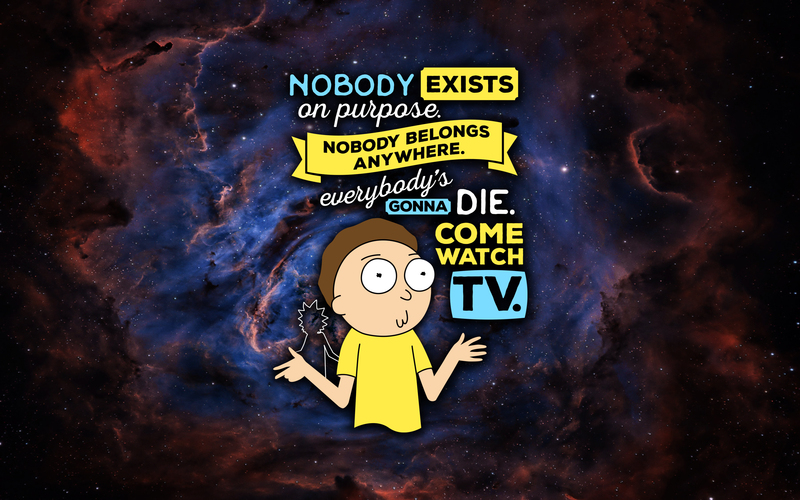 To some extent, Jerry represents all the non-Ricks of the world. They don’t have the benefits of good looks, deep pockets, or god-like genius navigate civilization. They’re basically stuck working for the scraps. 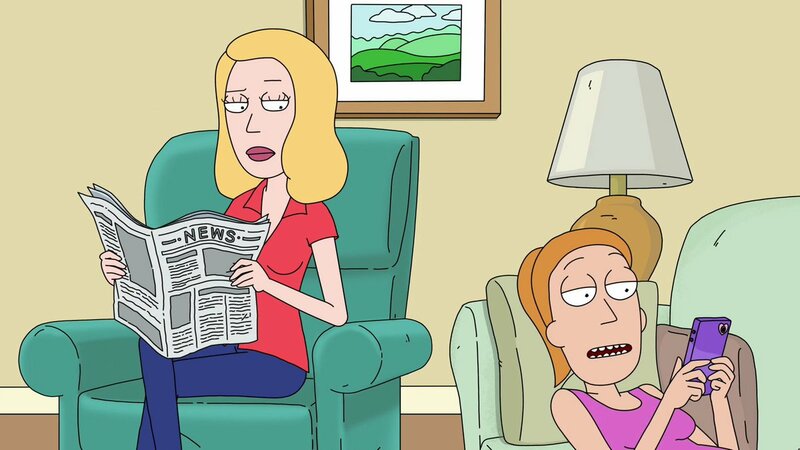 Both myself and most people reading this probably have more in common with Jerry than they care to admit. We work jobs we don’t like to make just enough money to survive in a society where simply living is both overly-complicated and expensive by modern infrastructure, law, and economics. For most people, just living in a decent place with a manageable mortgage payment and good WiFi is the most they can hope for. In the apocalypse, though, everything is simpler. All those complexities of modern civilization go out the window. Life is no longer defined by your ability to find a job, pay the bills, stay out of jail, and not piss off the wrong people. It’s defined by your ability to survive day-by-day. It basically resets our society back to its tribal roots. For some, that’s a horrible setback because it means they actually have to work, sweat, and toil for their survival rather than relying on underpaid peasants. For most, though, it’s a massive equalizer. Suddenly, your money, your fancy clothes, and your tax bracket don’t matter. All that matters is your ability to survive another day. 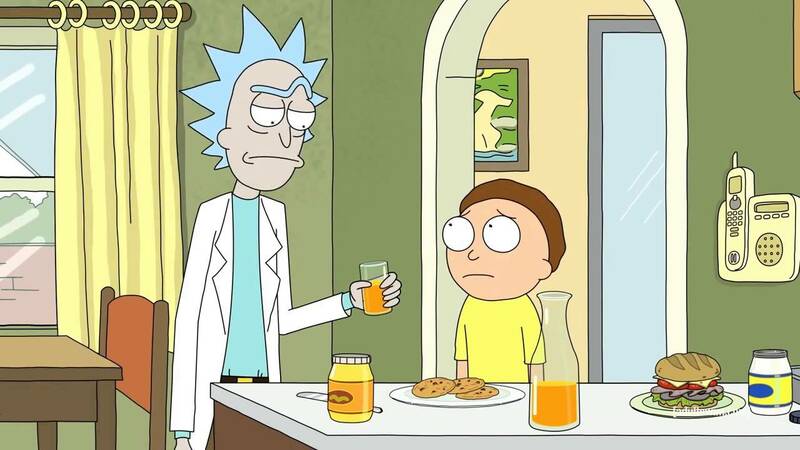 In “Rick Potion Number 9,” Rick and Morty’s antics bring about the complete collapse of civilization. 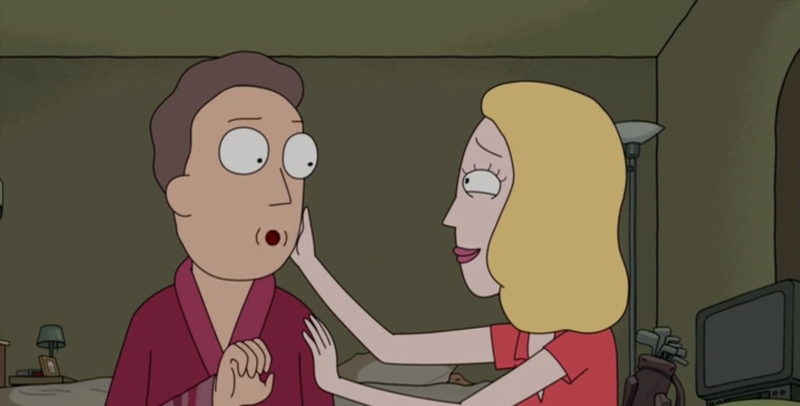 In the process, Jerry Smith gets a chance to be something other than the guy that modern society walks all over because of his inherent mediocrity. 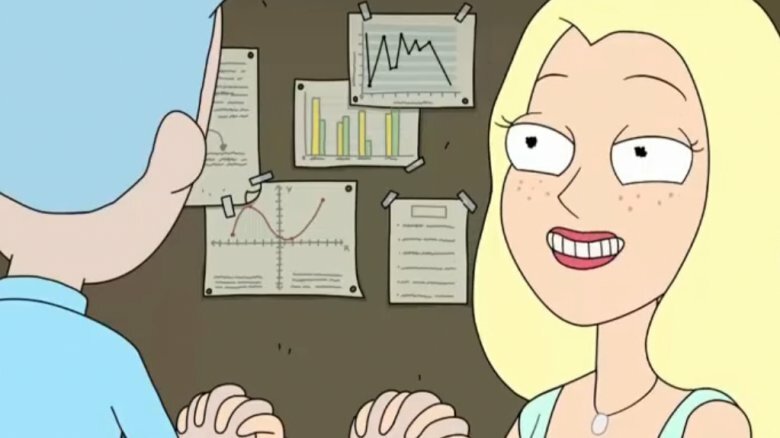 Suddenly, he doesn’t need genius, looks, or connections to thrive. He just needs an ability to hold a crow bar and fight monsters. In “Rickmancing The Stone,” this breakdown of civilization and equalization of stakes gets an even greater push, albeit without Jerry. 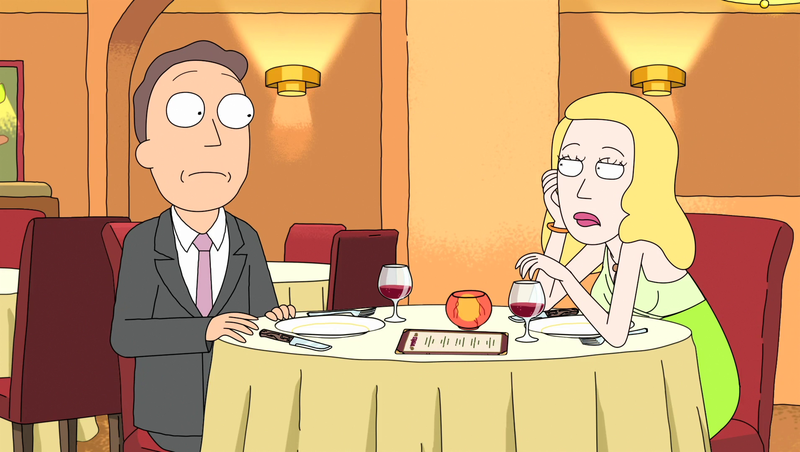 He still plays a part in the story, but only to the extent that it’s clear just how much modern civilization crushes people like Jerry whose skills are too limited to thrive. 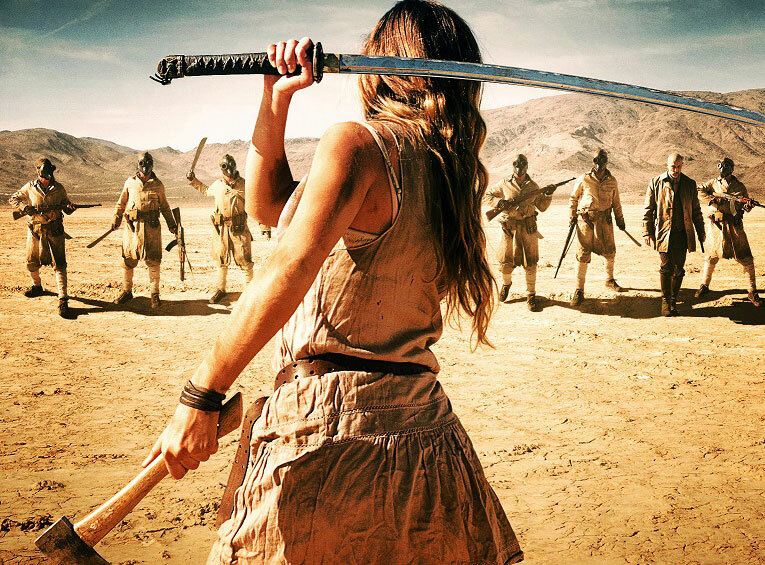 Conversely, a “Mad Max: Fury Road” style apocalypse simplifies the types of necessary skills. In that world, and nearly every other apocalyptic narrative for that matter, you don’t need to go to a fancy college, invest in complex industry, or network with rich elites. You just need to be willing and able to learn basic survival skills, like hunting, foraging, self-defense, and basic crafts. Most people with moderate hand-eye coordination and a little grit can learn those skills. These are skills that go back to the basics of our hunter/gatherer past. They’re skills that still manifest today, both with rugged outdoor-lovers and in societies that have collapsed, albeit on a non-zombie, non-global scale. Whatever the circumstances, though, the end results are the same. The apocalypse doesn’t just simplify the stakes. It requires us to be egalitarian in the most pragmatic way possible. Think of all the petty divisions we currently deal with, from identity politics to philosophical debates to never-ending feud between “Star Wars” fans and “Star Trek” fans. In the face of an apocalypse, all that stuff becomes meaningless. Disagreements over feminism and masculinity don’t matter. Clashes between liberals and conservatives don’t matter. Complex economic theories don’t matter. To some extent, that is appealing. Sure, it also means no internet, no TV, no movies, no social media, and no media of any kind. It also means no air conditioning, no electricity, no modern medicine, and no modern comforts. That may limit the appeal, but at the same time, it removes the complications that comes with those amenities. Let’s face it. They are complications that get pretty infuriating. In the modern world, you can’t just survive. You have to have a career. You have to have some sort of profitable skill. Even if you do, that’s no guarantee you’ll gain the respect you want, attract the mates you want, or establish yourself as a productive member of your community. 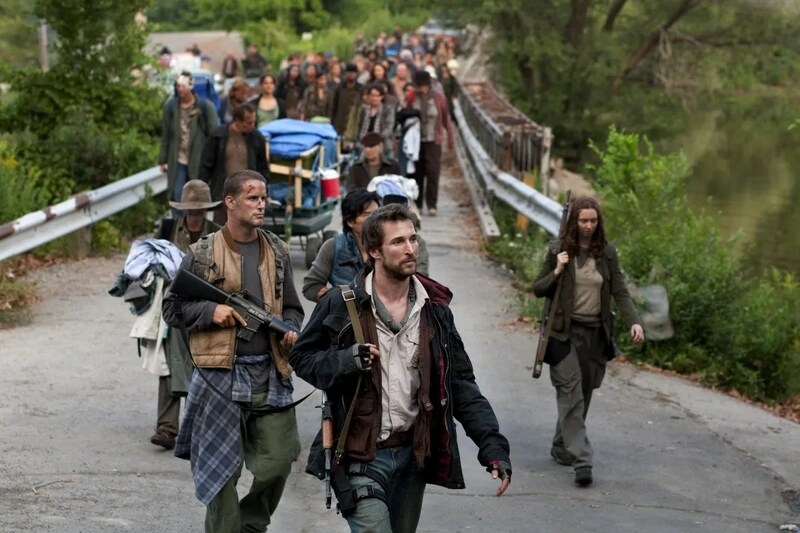 In the world of the apocalypse, it doesn’t matter how many Twitter followers you had or likes you got on FaceBook. It doesn’t matter how many friends you had in high school, how many matches you won on “Overwatch,” or how many dumb things you did as a kid. When society, civilization, and infrastructure collapse, none of that matters. You’re essentially free to just live and survive. For the Jerry Smiths of the world, the apocalypse would be the perfect make-or-break scenario. You either show that you’re willing to work, fight, and survive or you die. That’s all there is to it. It’s simple, blunt, and uncomplicated. You have just as much an opportunity as some guy who went to an overpriced prep school. Even if you fail, you fail on your own accord. That said, there’s also a dark side to that appeal. 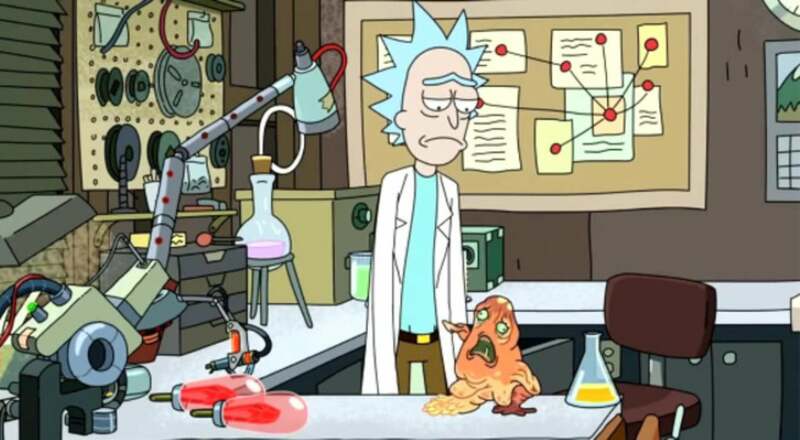 While “Rick and Morty” double down on the dehumanizing, degrading nature of modern civilization, other shows like “The Walking Dead” show how it can take people who would be unremarkable in a civilized society and turn them into monsters. That’s how a high school football coach can become a tyrannical, but charismatic dictator. Like modern civilization, the apocalypse affects people in different ways. Some, like Jerry Smith and Negan, might actually thrive in it. Others won’t be able to handle it, having become too comfortable with the trappings of civilization. That’s something that modern survivalist groups bank on and, should the apocalypse ever come, we’ll see how much or how little that pays off. Personally, I hope that day never comes. It’s not just because I probably wouldn’t last long in an apocalypse. I’ve never gone camping, I don’t have any survival training, and I’m not sure how I’ll react to a zombie. I think that while modern civilization has its flaws, it has more long-term potential than any apocalypse, by default. Since much of that potential is still unrealized, although we are making progress, the apocalypse will still have more appeal to the vast majority of people who feel trapped by the rigid complexity of modern civilization. They can only do so much with their lives and there’s only so much they have to risk. Then again, maybe that’s something both civilization and the apocalypse have in common. 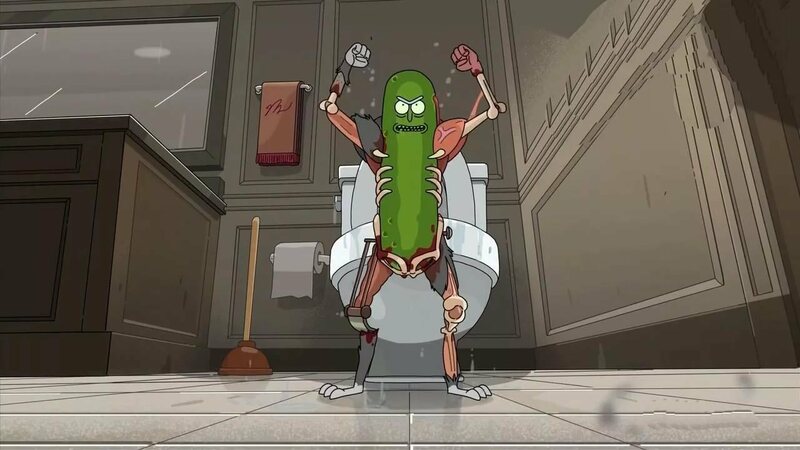 As Rick Sanchez once said, “To live is to risk it all. Otherwise, you’re just an inert chunk of randomly assembled molecules drifting wherever the universe blows you.” It’s just easier to do that in the apocalypse because, with or without zombies, the stakes are simpler and clearer for everyone. Here’s a question that should strain the brains of anyone who reads too many comics and watches too much TV. 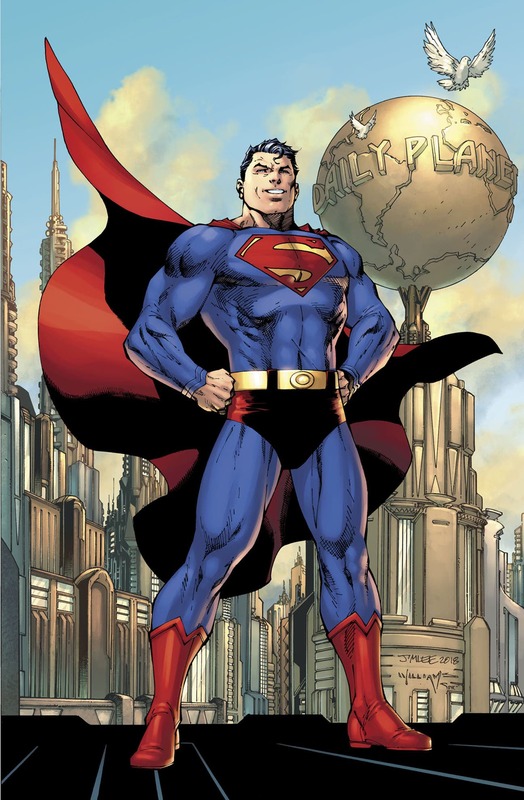 What do Rick Sanchez and Superman have in common? One is the undisputed icon of truth, justice, and the American way. The other is an eccentric, unstable super-genius who also happens to be high-functioning alcoholic. These are two fictional characters who, on paper, would clash at every turn. However, there is one trait that binds them and it’s one that’s worth scrutinizing. They both perfectly embody nihilistic morality. Again, I am going somewhere like this. Just hear me out because this is something I think that fans of both Superman and “Rick and Morty” can appreciate. In an era where everyone has an excuse, an agenda, or a combination of the two, it’s a perspective that I think everyone can appreciate. 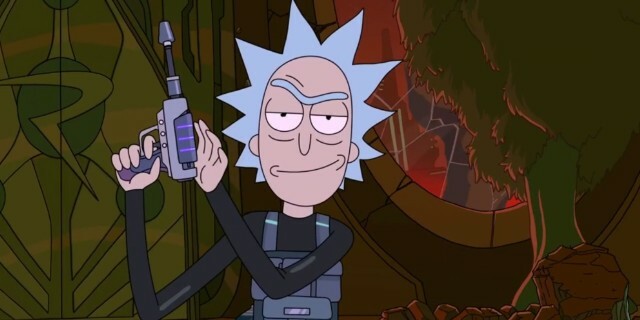 To understand that perspective, it’s necessary to understand what I mean by “nihilistic morality.” I’ve mentioned nihilism before when I’ve discussed “Rick and Morty” in previous posts, specifically on what makes Rick Sanchez an appealing character to an emerging generation. For the purposes of this discussion, you need not be a super-genius or a Kryptonian to understand. By definition, nihilism sounds bleak and depressing. At its core, it states that life has no inherent meaning or purpose. We’re just globs of matter floating around the universe for a finite period of time. That’s it. There’s no plan, purpose, or greater meaning. 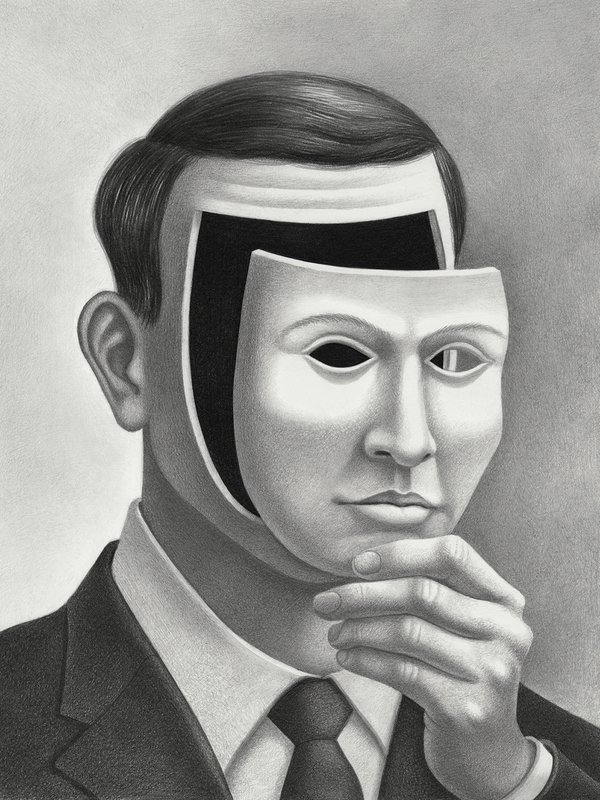 Any effort we make at seeking meaning requires that we shamelessly lie to ourselves. 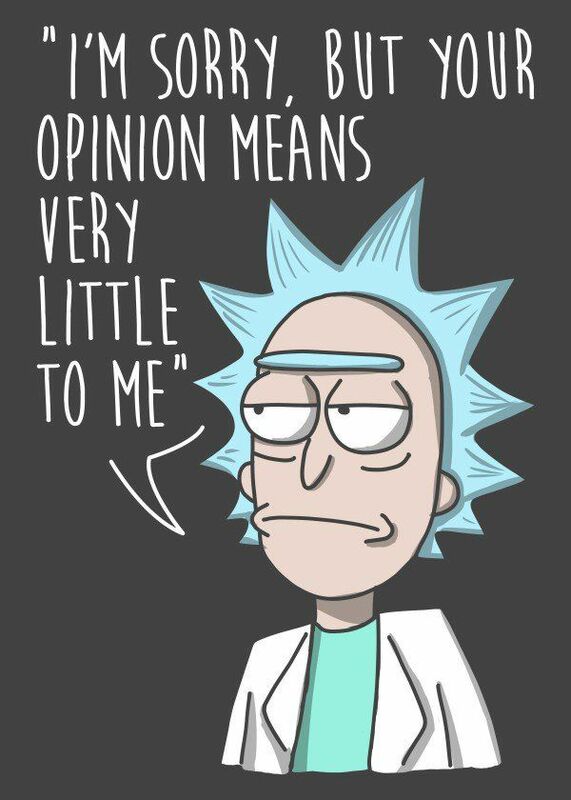 Rick Sanchez, himself, put it pretty succinctly. Depressing or not, I don’t intend to belabor the grim prospects of nihilism. Instead, I want to focus on the implications because, even if the principles are depressing, the implications are pretty revealing. In a sense, those implications can say a lot about what we consider moral and why we do what we do. This is where Superman enters the equation. When it comes to beacons of morality, Superman is basically the alpha and omega of all things good and just. He is the standard by which all heroes are measured. He is the arbiter of the ethics, philosophy, and principles of a good and just person. If Superman does it, then it must be good. If there’s a right way to do something, then Superman does it without hesitation. 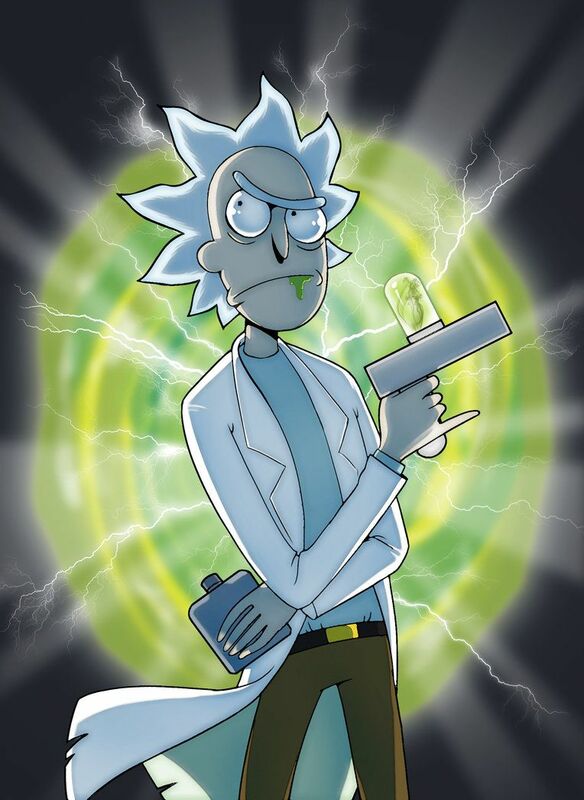 Where he and Rick Sanchez intersect has less to do with who they are and more with why they do what they do. Whether it’s stopping Zod from destroying a city or selling weapons to assassins to spend an afternoon at an alien arcade, these two characters have surprisingly similar motivations and those motivations have a basis in nihilism. 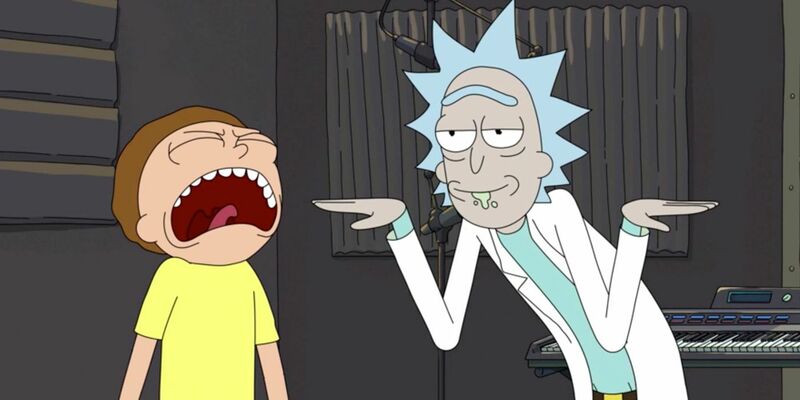 Simply put, Superman and Rick Sanchez don’t do what they do because it serves an agenda, makes them look good to others, helps them function better in society, or rewards them after death. They do it because they want to. That’s it. That’s the end of the philosophical discussion. In the context of pure nihilism, these two exceedingly different characters are on the same page. There’s no larger plan or purpose to their choices. 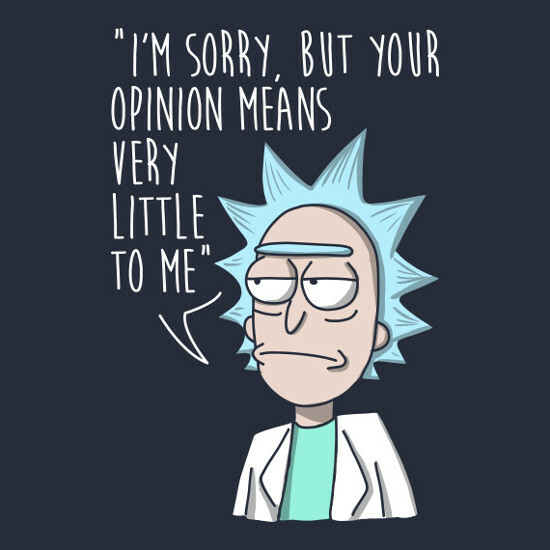 Rick Sanchez has never given a cosmic fart about what others think about him, including his own family. 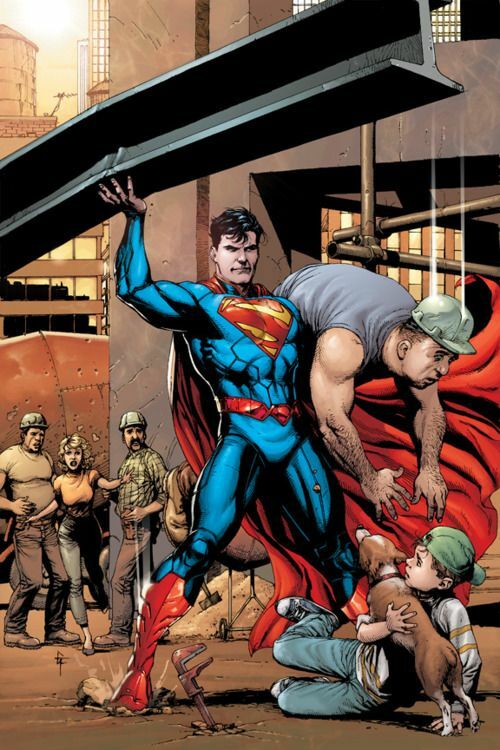 Superman has also made it abundantly clear throughout his history that he doesn’t do what he does for adulation. He does it because it’s the right thing to do. These simplistic, almost shallow reasons are inherently nihilistic in that they acknowledge the pointlessness of attempting to seek greater meaning in a chaotic universe. It’s just as pointless to do something for personal reasons, be they vengeance for dead parents or upstaging the devil. Any reason, large or small, is just as empty within a nihilistic worldview. However, if you can look past the depressing concepts, there are major implications for the ethical context of these actions. 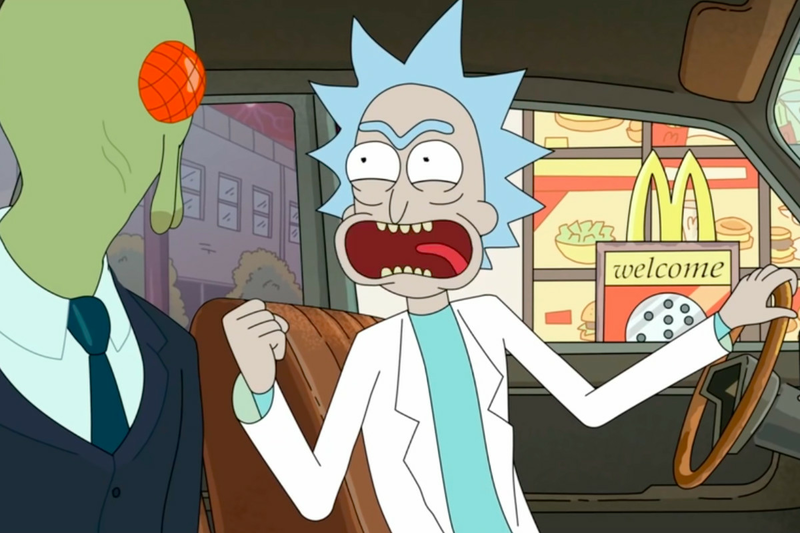 The fact that both Superman and Rick Sanchez don’t need or seek that greater meaning to justify their actions makes what they do more inherently honest. In terms of judging ethical motivations, that counts for a lot. 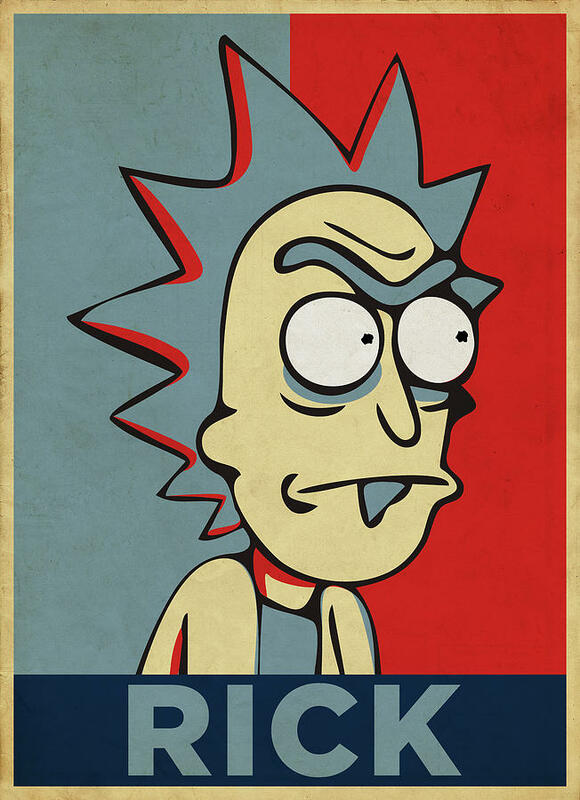 Whether they’re iconic heroes or alcoholic mad scientists, honesty matters and so does motivation. Heroes like Captain America, Iron Man, Batman, Spider-Man, and the X-men have factors like duty, vision, responsibility, and tragedy to guide their actions. You could say the same about the real people behind any movement, be they civil rights, gender issues, or a political party. 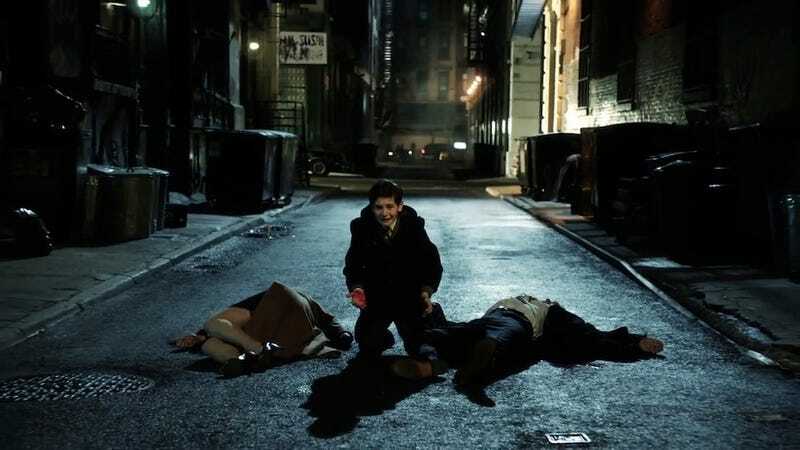 Spider-Man does what he does out of responsibility and the guilt he feels for being irresponsible in the past. Most peoples’ political affiliation is inherited from their parents or their economic circumstances. Some join civil rights movements out of personal conviction or just to virtue signal. Both Rick Sanchez and Superman would see all those factors as needless complications to what should be a very simple choice. To them, you simply do something because you want to. If there are consequences to that, then you deal with them. That’s all there is to it. That’s all there needs to be. Superman didn’t need someone to kill his parents or hate his kind to motivate him. 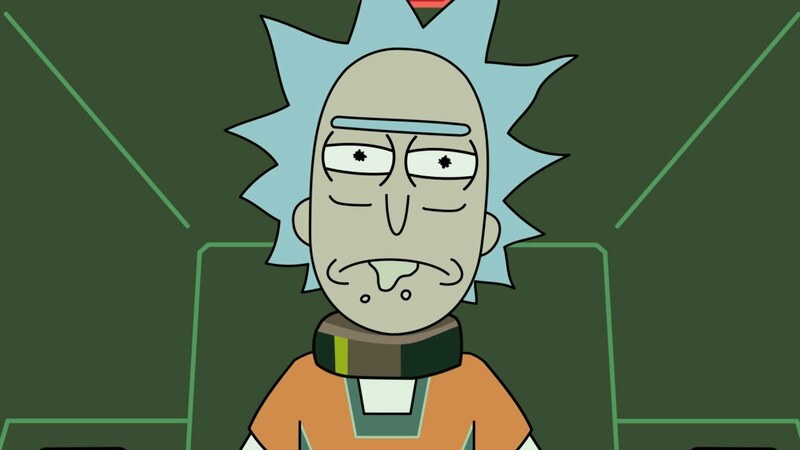 Rick Sanchez didn’t need a loving family or an empire of alien insects to motivate him either. They just need the ability to make a choice and nothing more. Anything beyond that is either bonus or needless complications. In the context of nihilism, that makes the ethics behind both Rick and Superman more genuine. It flies in the face of those who seek justice, morality, or progress as part of some larger endeavor. That’s an important factor because, absent that context, the motivations can be prone to corruptive forces. This can unfold subtly in things like organized religion. Sure, religion can inspire great charity, but is that because adherents genuinely want to be charitable? Are they just trying to win favor in the eyes of a deity who may or may not punish them eternally after they die? It also manifests in political movements. Pretty much any political party will consider their platform to be just. However, is that because it actually is just or because that’s just what the party says? Anyone who has lived in a communist dictatorship probably knows the answer to that more than most. These days, we’re seeing more and more people rally behind various social movements, be they LGBT rights or anti-harassment efforts. Even if the intent of these movements are just, those behind it can have other motives, such as virtue signaling or maintaining an agenda. Remember, Harvey Weinstein donated to the women’s march in early 2017 before his scandal broke. In either case, it’s not always possible to know the sincerity of someone’s moral underpinnings. In a sense, nihilism provides a filter, of sorts, to sift through the various agendas that someone may or may not have. If that agenda requires that the universe have a special purpose or destiny for them, then that’s usually a sign that they’re trying to be the heroes of their own story, which rarely turns out well. Superman could care less if the entire world hates his guts for doing what he does. He’ll still do it because it’s the right thing to do. 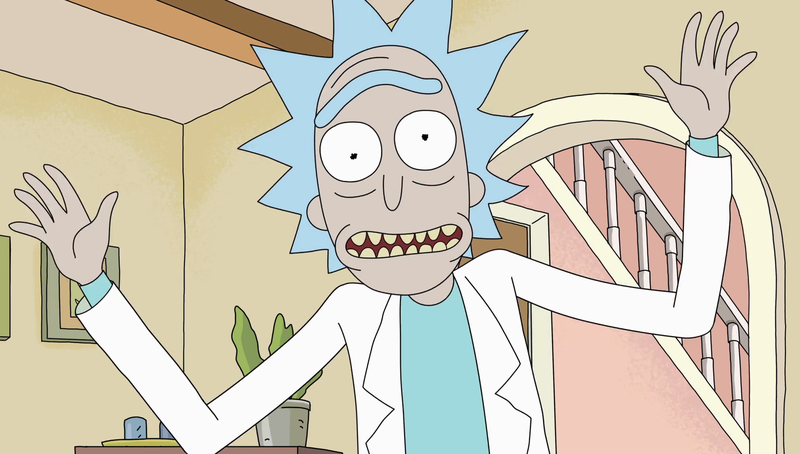 Rick Sanchez could care less if everybody loves him and worships him like a god. He still does what he does simply because he chooses too. They both understand the universe doesn’t care so why should they? Think about that next time a fictional hero or a real person explains their motivations. Apply the filter of nihilism and you’ll reveal just how genuine or insincere they truly are. 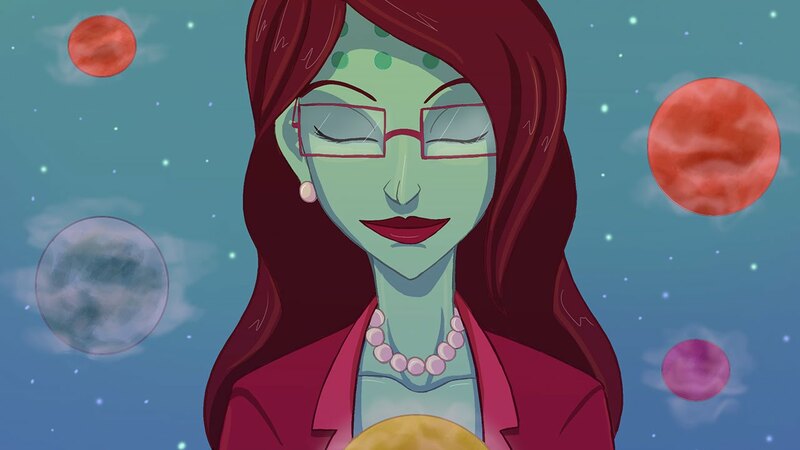 Whether you’re saving Lois Lane or searching for that sweet Szechuan Sauce, those motivations matter, especially in a nihilistic universe where little else does.